The automatic start/stop system along with an aluminum pump makes this a reliable product. Perfect for occasional cleaning of your patio, fence or other surfaces up to 25 m2/ hour. A handy helper for car, bike or garden furniture washing. Easy to move around. Easy to stow away. It offers good ergonomics and a large range of operation with its 9m soft hose or 10m steel armed hose. From gentle cleaning of more soft or sensitive surfaces to blasting away ingrained dirt. The automatic start/stop system along with an aluminum pump makes this a reliable product. Perfect for occasional cleaning of your small to medium sized patio, fence or other surfaces up to 30 m2/ hour. A handy helper for car, bike or garden furniture washing. Is easy to stow away and offers convenient storage of nozzles, lance and spray handle on the machine. Perfect for cleaning of your small to medium sized patio, fence or other surfaces up to 30 m2/ hour. A handy helper for car, bike or garden furniture washing. It comes with a hose reel for tidy storage of the hose which, together with the compact design, makes it easy to stow away when not in use.​ Another practical feature is the convenient storage of nozzles, lance and spray handle on the machine. 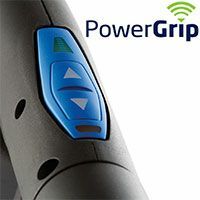 It offers full flexibility and ranges from the gentle cleaning of soft or sensitive surfaces to blasting away ingrained dirt. The telescopic handle, sturdy wheels and long hose all ensure the ease-of-use you want, when working for longer periods of time.